Have you ever been to a party with a white elephant gift exchange? I have several under my belt, and let me tell you, figuring out what to get can be more difficult than picking out a gift for someone on you know. You want something creative and useful, that other people are going to want and trade for, and it's not always easy. 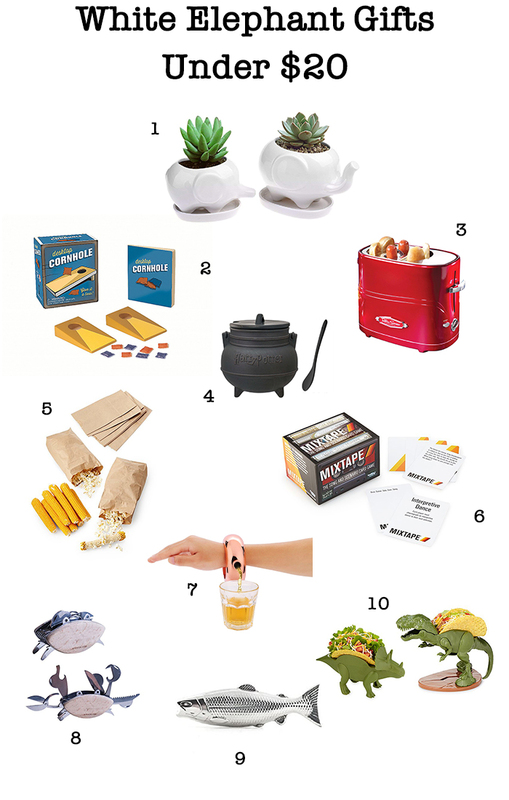 So, today's gift guide features unique but practical ideas for the white elephant party, all under $20! Happy Shopping!